In March, San Diego’s home prices raised an impressive 7.7% from the past year. This ranked San Diego in the top 10 cities of highest yearly price increases. Home prices increased all over California. San Francisco, Los Angles and San Diego were all above the national average and they show no sign of slowing down. In April, San Diego’s home prices continued to grow, sitting 8.6% higher than the year before. That pushed San Diego’s median home price to $570,000 which broke the record that was previously set in March. This increase was led by the escalating cost of condos. Condo prices increased by 11.7% and have a median price of $430,000. No one ever said moving was easy. The process of gathering all of your things typically involves far more things than you realized you ever had, and transferring them from one place to another is difficult at the best of times. The work is substantial and is rarely something that can be done quickly. However, there are ways to make your move a bit easier. Depending on how long you have lived in your home, you may have accumulated a substantial amount of items. Not all of these items are going to be important, useful, or otherwise necessary to bring with you to your new place. By taking the time to go through your stuff and clear out the clutter, you can reduce the number and volume of things that you have to pack. To make this easy, you can break it down by room or even on a smaller level like closets and areas with different functions: office, kitchen, bathroom, etc. Go through each area and create four piles: donation, sell, keep and throw away. Boxes, bags, tape, bubble wrap, paper, scissors, box cutters, blankets, etc. What you gather will depend on what you need to move. Just keep in mind that once you get going with the actual packing you don’t want to waste time finding more packing materials. Most of this stuff is cheap and it is better to have too much than too little. Going from task to task efficiently, de-cluttering, gather packing materials, packing, moving, etc., will help you avoid frustration and keep up your momentum. You do not need to list every single thing you own but having a list of your most valuable possessions is important. This becomes important not so much for the packing part of your move, but when you are ready to unpack. You don’t want to pack everything just based on where it is in your house. There are some things that you will need sooner than others once you arrive in your new home. Things like your most used kitchen supplies, bathroom supplies, food, computer and medicine may all be things you want quick access to. Set aside some boxes for essentials, things to unpack first, and fill them with the appropriate items. This tip correlates with tip #4. Things to pack first includes items like a box cutter, paper towels, trash bags, eating utensils, select cookware, power strips, phone chargers, toilet paper, tools, etc. The clear bin allows you to see inside for easy access; it also separates itself from the myriad of cardboard boxes. There is a right way to pack a box. Heavier items go on the bottom with medium weight and lighter weight following as you would expect. If the items are important to you it is best to wrap them individually, as they will shift around and cause wear on each other. Fill the empty space, both on the bottom and at the top, to keep the items in place as much as possible. Both packing peanuts and paper can be used for this purpose. Label each box with what it contains and where it should go. The more detailed your label is the easier it will be to find what you are looking for. Again, you will probably not unpack everything the first day. The easier it is to find out what is in each box the easier your life will be after the move. Also make sure that labels are found on all sides of the box, because not every box will be placed upright as it’s unloaded off of the truck. One of the things that can be a dread for everyone about moving is putting all of their electronics back together. One of the best ways to help make setting everything back up again easier is to take pictures of what it looks like before dismantling it! Having a reference of something to look at will make this process far less cumbersome. Chances are, you’ll be too tired to unpack your things. You’ll want your essentials within easy access, including a change of clothes if you’re going back to work the next day as well as all your toiletries. It’s also a great way to transport a laptop, which could run the risk of getting stolen during a move. If you can, put up a new shower curtain liner and stock some new bath towels and toilet paper, as well. 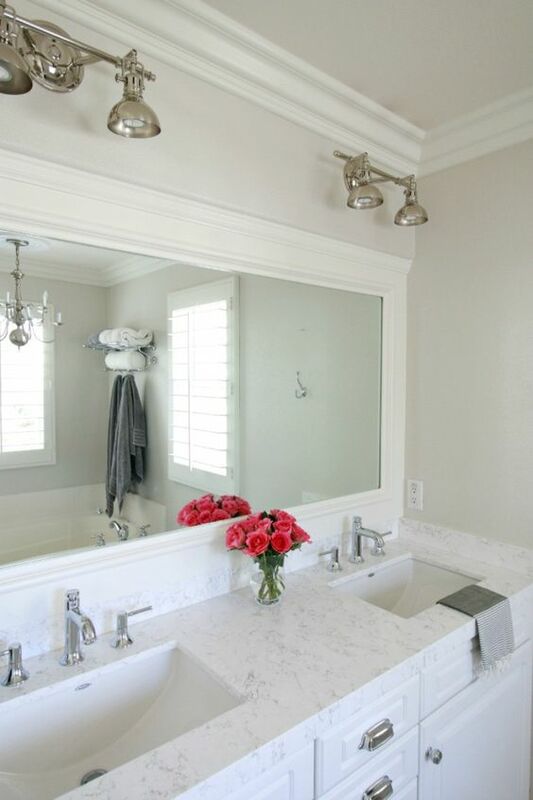 You’ll want an already clean bathroom and to take a hot shower after a long day of moving. Cover the openings of your toiletries with saran wrap, then put the tops back on. This will keep your toiletries from breaking and leaking all over your stuff during the move. Pack plates vertically, like records. They’ll be less likely to break. Keep drawers intact to the their dresser by covering and wrapping them with saran wrap. Dresser drawers are like their own moving boxes, this will keep you from having to unpack and refold their contents. It’ll also make moving the actual dresser much more manageable. There is an easy way to pack your closet. Keeping the clothes on the hanger, push about 30-35 items as close together as possible. Then, starting from the bottom, take a trash bag and bring it up around the cloths. This will keep your clothes together and make it easy to put them back on the rack all at once. Make sure everything is completely packed before your friends show up to help you move. Don’t be that horrible person who makes everyone wait around/help you pack. Also, if you have enough people, split them up into shifts, one set to help you move in the morning, and another to help you move when you get to your new home. If you have a lot of fragile valuables, hiring movers as opposed to asking friends can end up paying for itself. Many movers come with insurance, which means if something breaks, they have to compensate you. You might want to weigh the pros and cons though, they won’t want to be responsible for a television that is not properly packed in its original box and could end up charging you upward of $150 to pack it as they see fit. Also remember to book them weeks in advance, as you’re probably not the only person trying to get out of your space on the last day of the month. Going along with tip #16, if you do hire movers, be sure to read the fine print and find out if they have any weird rules. For instance, some movers will only move things in boxes, not garbage bags. Which means you’ll be paying them extra for unnecessary boxes at a marked-up price. If you’re renting, take photos of your cleaned-out old home and your new home before moving in. This is essential if you ever hope to get your deposit back. It will save you major headaches with difficult landlords who charge you cleaning and repair fees unnecessarily when moving out. Change your address at least two weeks prior to moving. This might seem like a no-brainer for important things like utilities and cable, but don’t forget the small stuff. You’ve also got Amazon, PayPal, credit cards, your bank, magazine subscriptions, and your mail to worry about. If you’re doing a cross-country move and you don’t need your stuff immediately, consider shipping via Greyhound. It’s an inexpensive shipping option for large items. Just remember to pack your stuff really well because your boxes WILL get a little beat up along the way. 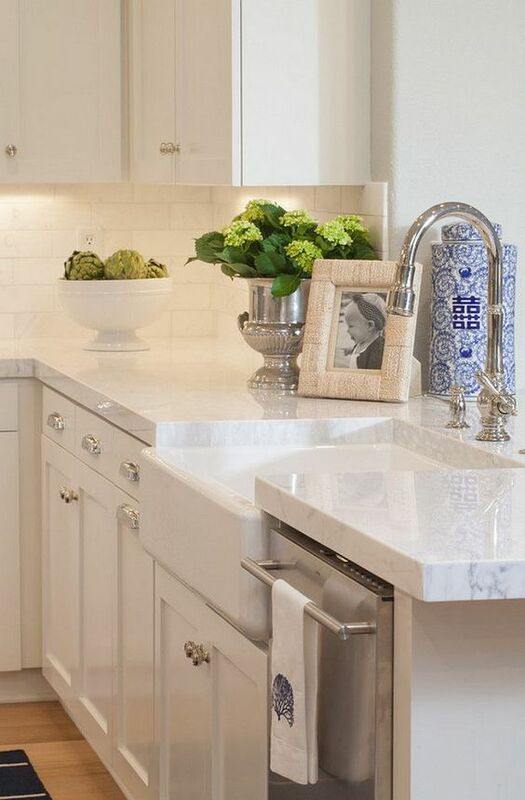 Quartz countertops are becoming a trend among many homeowners today. 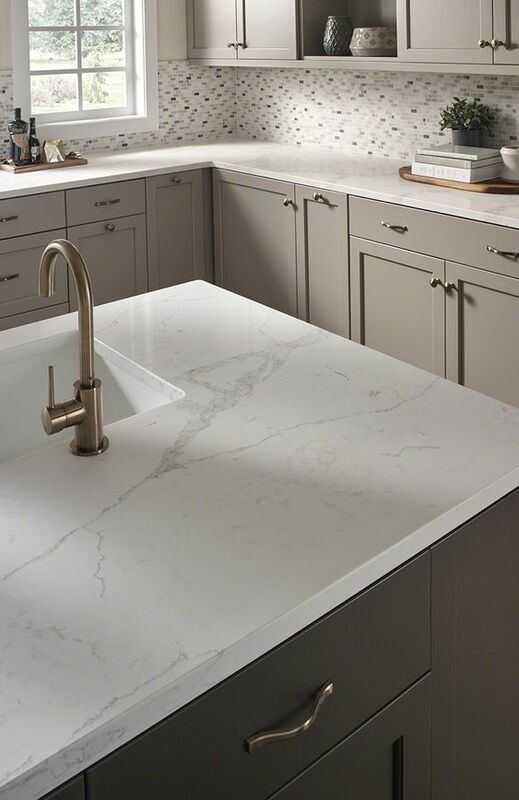 While compared to most other counter-top materials, Quartz is the appearance of the finished engineered stone is rich, and even luxurious. 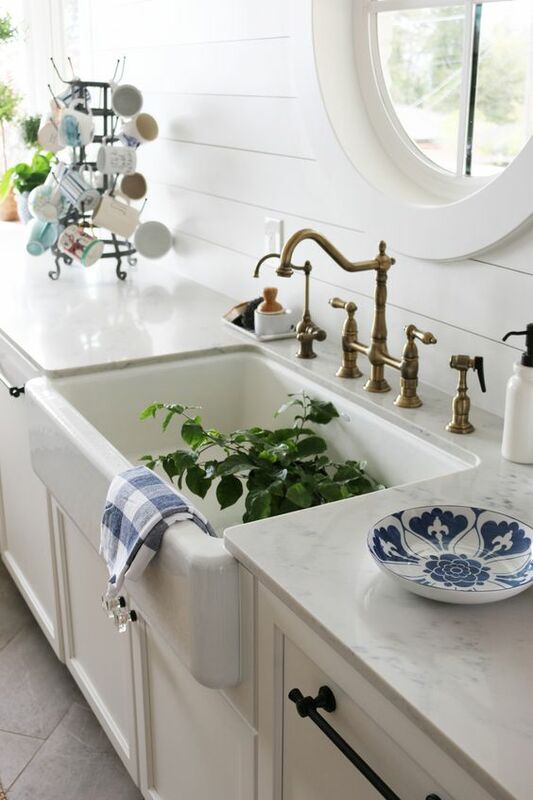 Quartz is non-porous as well, giving it the strength to resist staining. 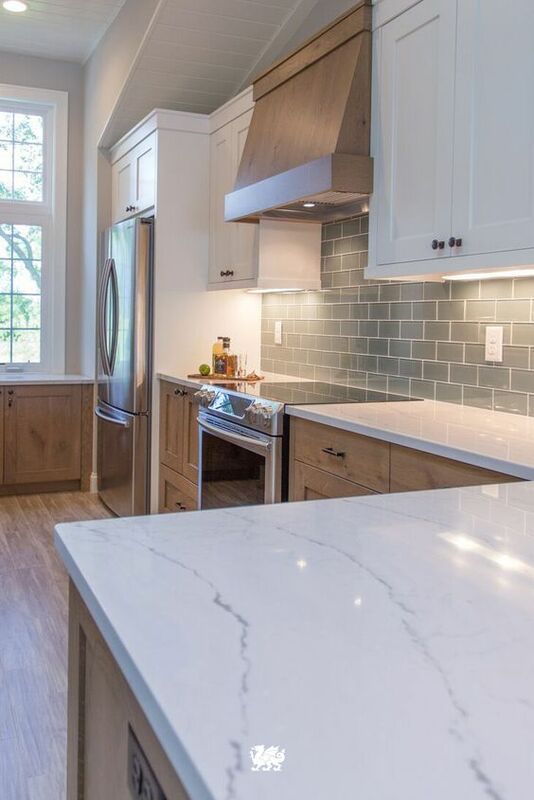 Quartz also has the same durability as concrete and granite, but is quite a bit more forgiving so it won’t chip or crack as easily. It also works well with most styles! Take a look at a few examples below for more inspiration! Summer 2018 is almost upon us! This year, there plenty of different summer camp programs in San Diego for kids of all ages to enjoy and experience! The Army Navy has been hosting Camp Pacific for 75 years now and has an overnight and day session that offers a variety of fun indoor and beach activities! More information here. Outpost summer camps are back again to kick off the 2018 summer with a bang! Outpost’s entirely outdoor environment allows campers to reconnect with nature, get the exercise their bodies need and see their inner creativity spring back to life untethered to devices or at-home comforts. More information here. The YMCA has several programs dedicated to youth development, healthy living, and social responsibility. The Y offers a multitude of camps in San Diego County including Day Camps, Specialty Camps, and Sleep-Away Camps. Unique to each neighborhood, the Y is a benefit to the community. More info can be found here. 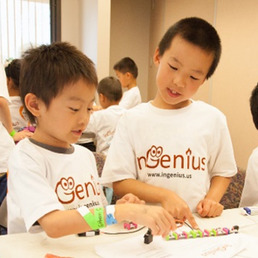 Ingenious Summer camps include programs specializing in Science Technology, engineering, arts and math! More information here. The San Diego Children’s Museum includes exhibits focusing on science, culture, art, math and engineering. They’re mission is to inspire children to learn through hands-on exploration, imagination and experimentation. More information here. The San Diego Area Writing Project (SDAWP) at UC San Diego is dedicated to the improvement of student learning through the effective teaching of writing. The SDAWP believes that writing is critical to learning and a vital tool for communication and should occur regularly in all classes and across the curriculum. More information here. Explore the world of animals through the Summer Camp adventures at the Zoo! This includes animal experiences, exclusive exhibit visits, bus rides, games and crafts! They have camps spanning from Pre-K to12th grade! More information here. Discover an adventure like no other during the Safari Park’s Summer Camp! There may be many types of summer camp for kids, but few will have campers connecting with creatures, meeting meerkats, getting up close to cheetahs, feeding okapis, and discovering African wonders the way the Safari Park’s will! More information here. Zovargo Animal Summer Camp 2018 San Diego is unlike most animal summer camps! Animals, Nature, and FUN are at the center of everything we do at this animal summer camp! The memories made at THIS camp will last a lifetime! More information here. What a fun way to spend the school break with exciting art projects and an awesome group of kids. Campers will engage in creative seasonal projects with different experiences each day. Campers will be exposed to different mediums of art including Painting Pottery, Glass Fusion, Clay Sculpting , Painting Canvas, and Board Art! Click here for more information. 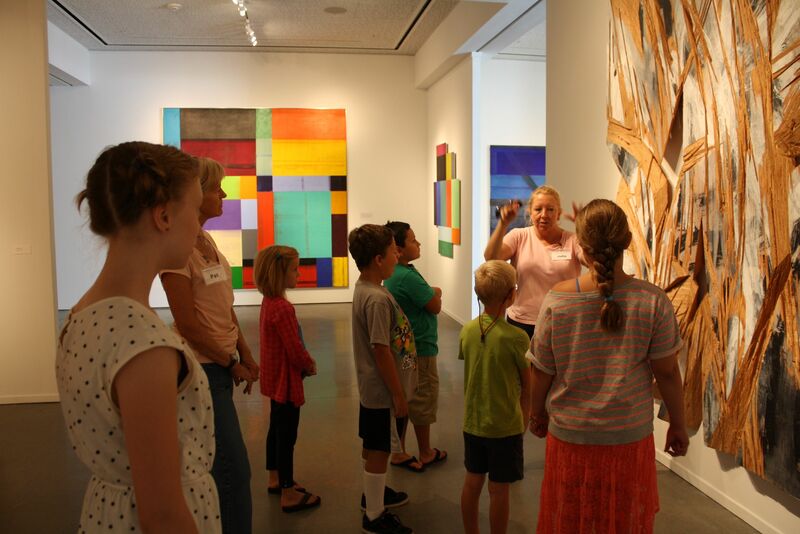 During the summer the museum hosts week-long art camps with various themes. During the week campers will explore different art mediums such as paint, clay, printmaking, and collage. At the end of the summer, all campers are invited to participate in a group art show! More information here. Bach to Rock offers camps that cover a wide range of interests and skill levels that instills the joy of music in kids of all ages! Younger campers can learn the basics of music by the exposure to real instruments while the older campers can join a Rock Band, sing with a Glee Club or learn the basics of how to be a DJ! More information here. Express Yo Self is an arts youth camp! It is a 5-day day camp providing opportunities for high school aged youth to further their art or begin their involvement in the performing arts. Participants will get hands-on experience in one of four enrichment tracks (instrumental chamber music, music production, improv comedy, or photography). Campers will receive instruction from professional teaching artists from partner organizations! More information here. Professional teaching artists lead four separate classes focused on acting, singing, and dance, with one specialty class that varies from session to session depending on the themes within the play that week. Examples of the specialty class include: improv, fight choreography, stage makeup, and puppetry! In a fun and creative environment, campers develop theatre skills, gain confidence and develop social skills through collaboration and performance. More information here. The Nike US Sports Camps have a variety of programs all over San Diego County for all kinds of sports! Some include football, baseball, golf, water polo, basketball and much more! This camp connects passionate coaches with young athletes to inspire personal growth and development! More information here. Momentum Training Center Camps offer indoor soccer camps focusing on speed, agility, technique, conditioning and strategy! This camp utilizes state-of-the-art equipment to teach technique and tactical understanding. Camp sizes are limited to 10 students per coach ensuring quality training! More information here. If your child’s idea of the perfect summer day includes heading to the ocean, consider Fulcrum Surf School for a week of hanging out at the beach, surfing instruction, and a ton of fun! More information here. Digital Media Academy has been offering tech summer camps for kids and teens in San Diego since 2004. Students have an opportunity to experience college life at the picturesque beachside campus of UCSD. In modern tech classrooms, students can learn to build a world in Minecraft, make their own short film, design a video game, and more! More information here. The Fleet turns curious kids into happy campers! 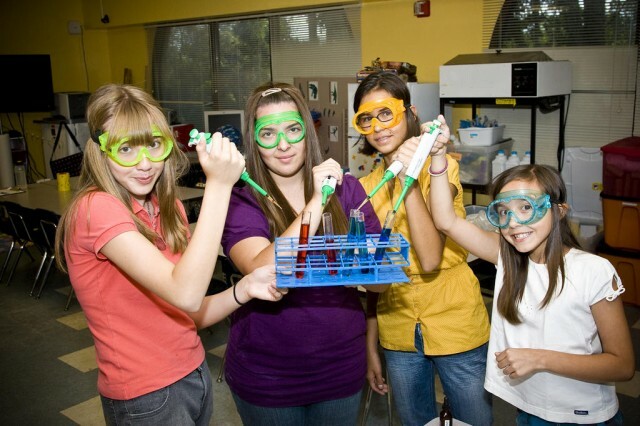 Their science-themed summer camps provide exciting experiments, intriguing investigations and fantastic fun. (Oh—and don’t tell the kids, but they’ll be learning a lot, too!) They have something for all ages, from Pre-K through 8th Grade! More information here. Make the cilantro-lime chimichurri: Place all ingredients in a mixing bowl and whisk together. Set aside. Heat grill to 375º. Drizzle oil over steaks and season with salt and pepper. Place steaks on hot grill and grill, 4 to 5 minutes per side for medium doneness. Remove steaks from heat and transfer to a cutting board. Cover loosely with foil and allow steaks to rest, 10 minutes. In a large mixing bowl, add oil, garlic, lemon juice, and asparagus and toss together until asparagus is evenly coated. Season with salt and pepper. Arrange asparagus on hot grill and grill until lightly charred and tender, 2 to 3 minutes per side. To serve: Slice steaks into 1″ strips and drizzle with chimichurri. Serve with asparagus and remaining chimichurri. April’s San Diego real estate market in review: As of April 2018, the median detached home in San Diego County sold for $620,000 up 7.6% from the previous year. As of April 2018, the median attached home (including condos, townhomes, and twinhomes in San Diego County sold for $410,000, up 7.6% from last year. The average detached home in San Diego spent 32 days on the market. Condos, twinhomes, and townhomes in San Diego spent an average of 26 days on the market. As of April 2018, the average seller of a detached home in San Diego County receives 97.6% of the original list price at the close of the sale. As of April 2018, the owners of attached properties (condos, twinhomes, and townhomes) retained 98.6% of the original list price. The inventory of homes in San Diego County is still very low. The supply of attached properties is also quite low. Are you interested in seeing this breakdown for your San Diego community or zipcode? Let us know! Floral patterns are a big hit especially during the summer. 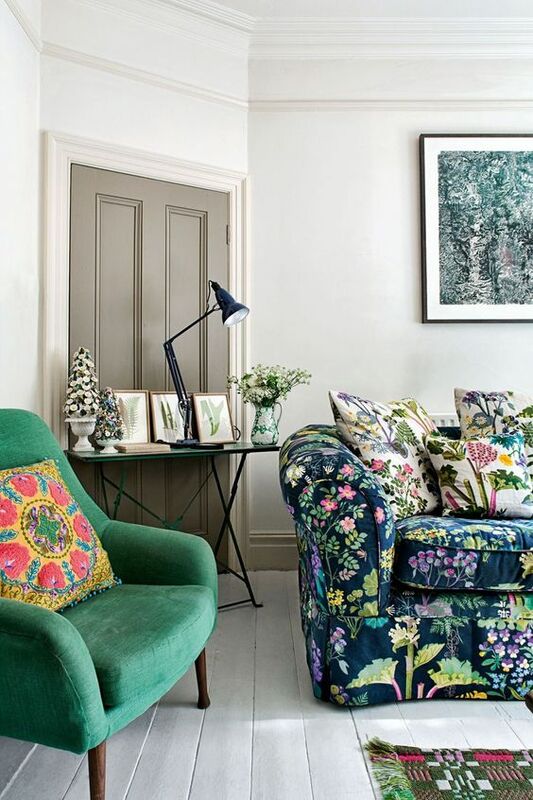 Whether it is a floral wallpaper, throw pillow or art, they all bring a sense of nature to a room. If you are considering this trendy look in your own home, now is the perfect time to make the decision! 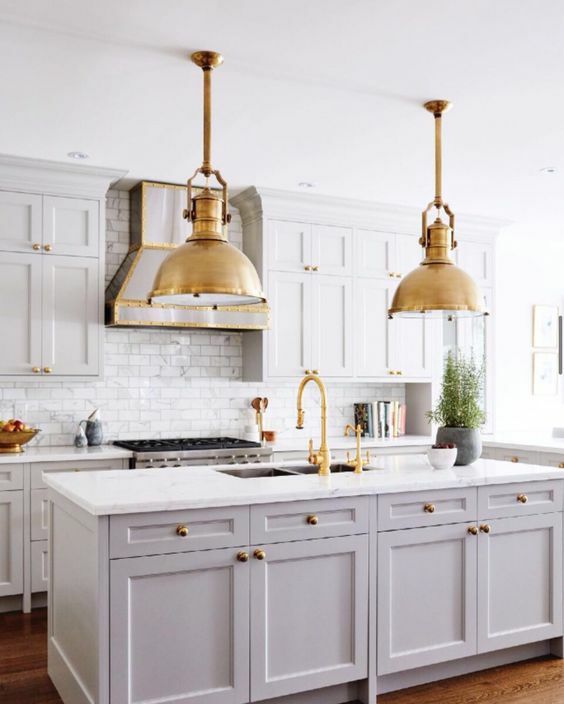 Brass has an elegant look to it especially when the summer light hits it’s surface. If you’re unsure about boarding the brass train, fixtures are a good way to tiptoe into the brass scene. They’re an easy and relatively inexpensive way to accessorize and update a room. 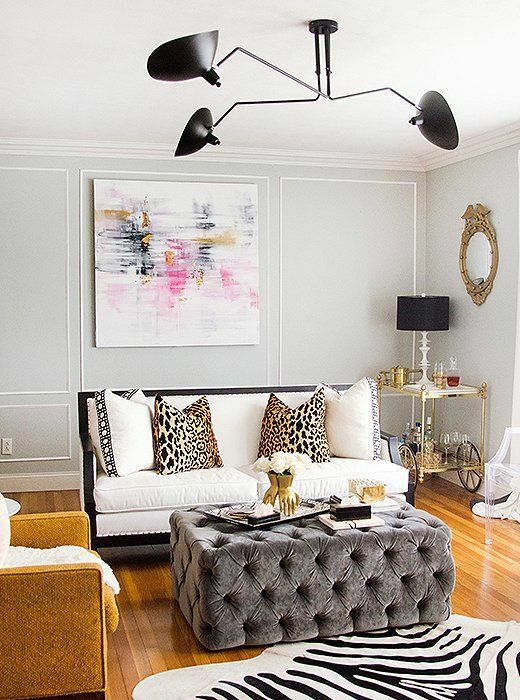 Nothing says hello summer like a living room spiced up with a few animal printed rugs or throw pillows. Try pairing multiple prints in the same color palette for a fun and cohesive look. Climbing plants have taken off in the year of 2018! 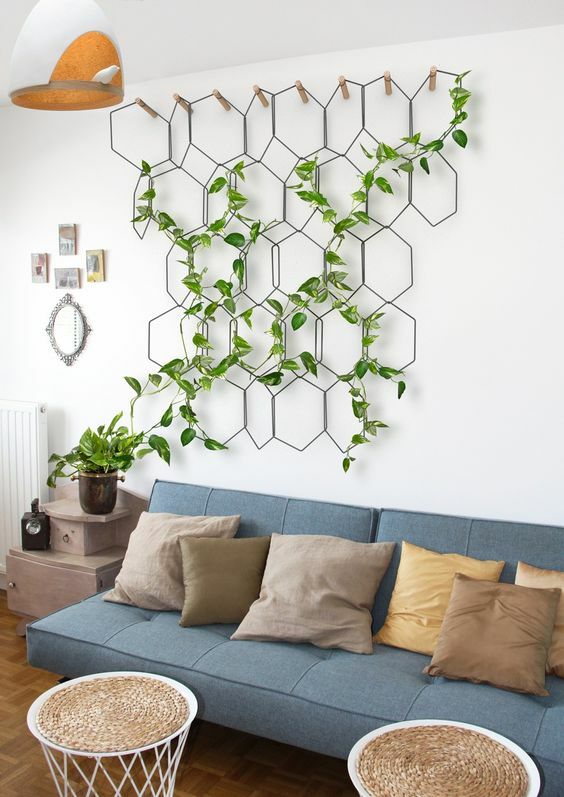 Climbing plants may seem like more of an outdoor themed, but they bring a nice nature look inside. A winding, twisting plant indoors brings a warm environment in a person’s home as shown in this photo above. 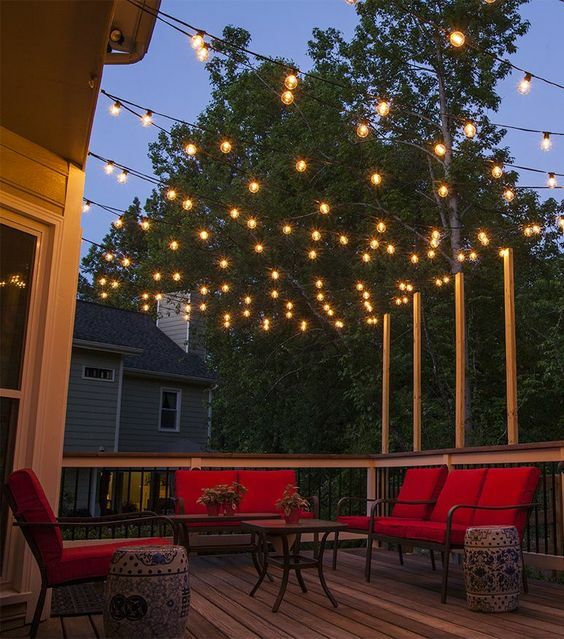 Hanging lights outdoors creates a great ambiance for those enjoying the night time. Those summer nights wouldn’t be as peaceful and relaxing without delightful lighting encompassing you.